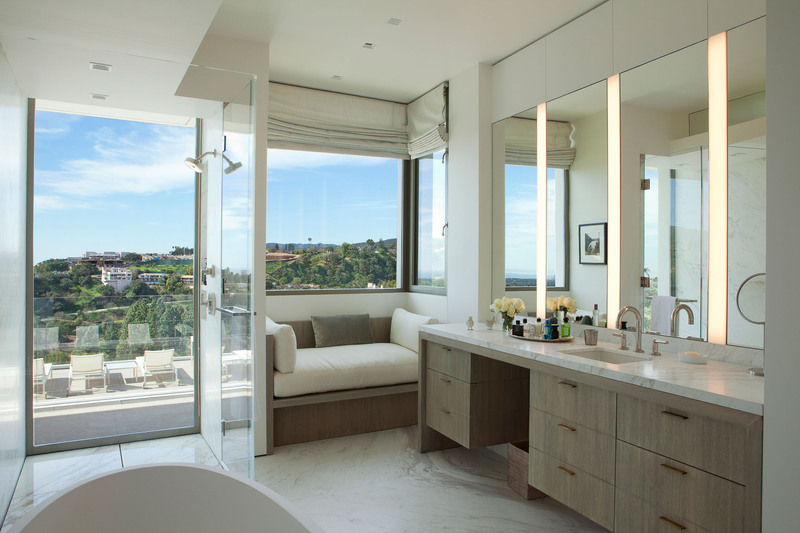 This Bel Air residence is an ideal balance of simplicity, elegance, and refinement. 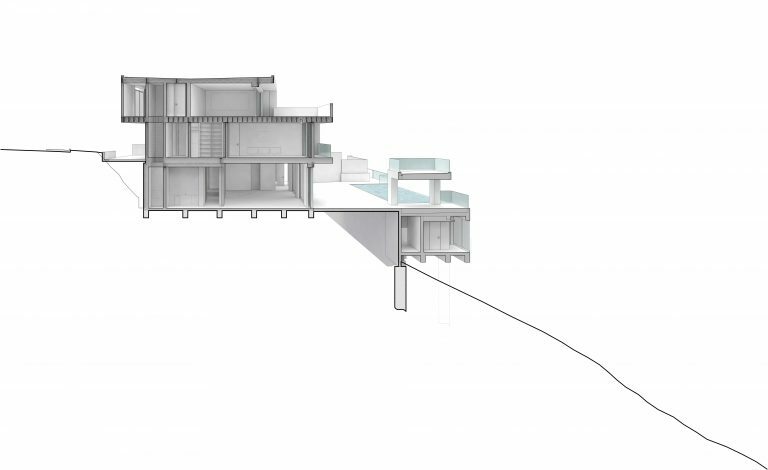 The 8,500-sq.-ft. residence is designed as a series of ledges, all of which open out to porches overlooking the Santa Monica mountains and the Pacific Ocean. Pocketing glass doors define the extents of each balcony and lend a feeling of transparency even when they are closed. The material and color palette continue from the interior to the exterior, blurring the line between inside and out. 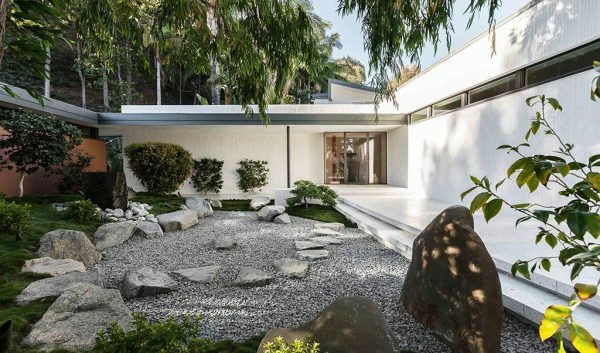 The design of the home, inspired by the simplicity of Japanese architecture, went through more than 50 iterations before arriving at the ideal combination of scale and detail that give the home its signature minimal, substantive, and calming characteristics. On the home’s main level, two large spaces for cooking, eating, and entertaining welcome guests into the heart of the house. The design of the space allows the people, the food, and the conversations to animate the house, and details such as a lacquered, raised ceiling embrace the orientation to views and dramatic sunset light. These main rooms open seamlessly onto the infinity pool and outdoor dining pavilion. Bedrooms are also perched along the second level, each with their own vista of the serene surroundings. Every detail was thoughtfully considered, from generous doors that rise to the ceiling to 18” thick walls that are clad in two layers of drywall, to give the home a restful calm. 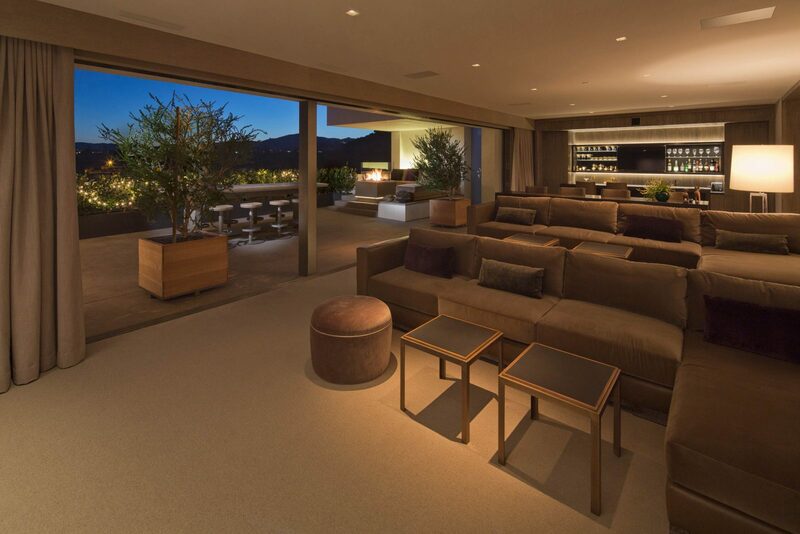 On the rooftop, a screening room opens onto a large terrace that serves as a party deck for gracious entertaining. A detached lower level guesthouse contains a gym and spa, complete with serene Japanese details. The home’s orientation on its lot, and forests of strategically planted bamboo, create a feeling of complete seclusion. 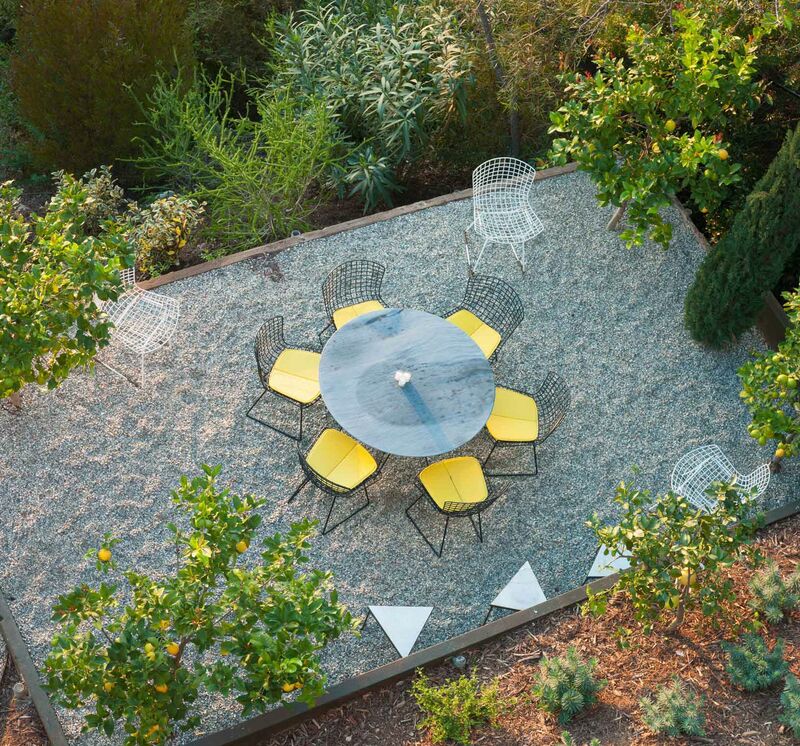 A large garden of 85 different plants and carefully placed pathways traverses the sloping site, vibrant with yellow-hued flowers, leaves, and fruit. 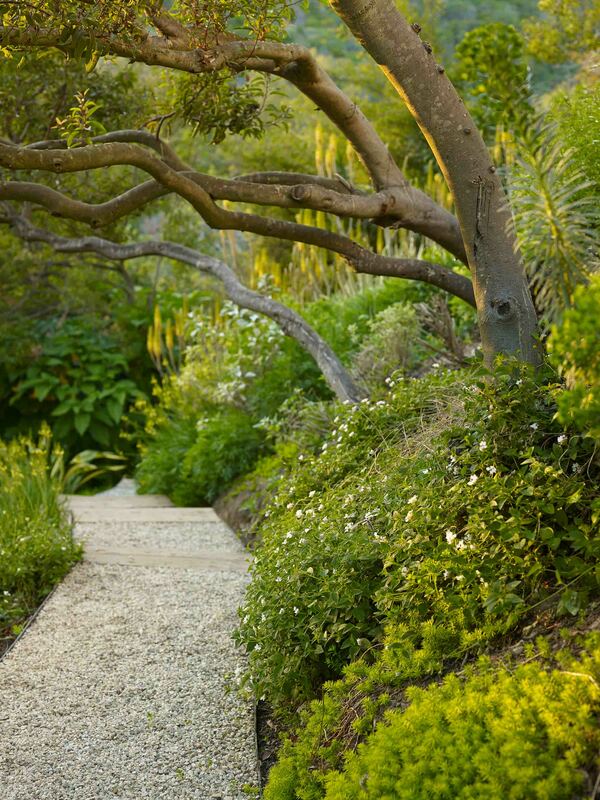 The garden is design to be experienced during the dramatic sunset light. 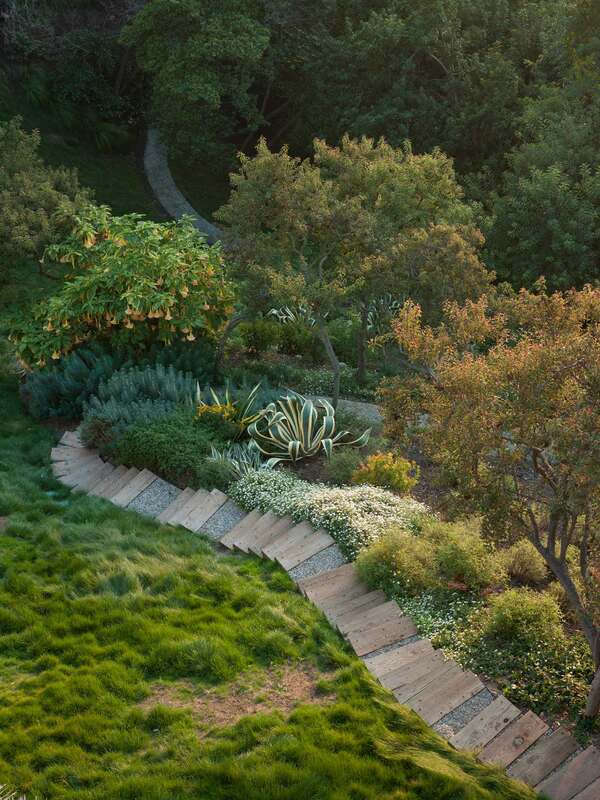 The landscape bathes the hillside below the house in warmth and an energizing glow.